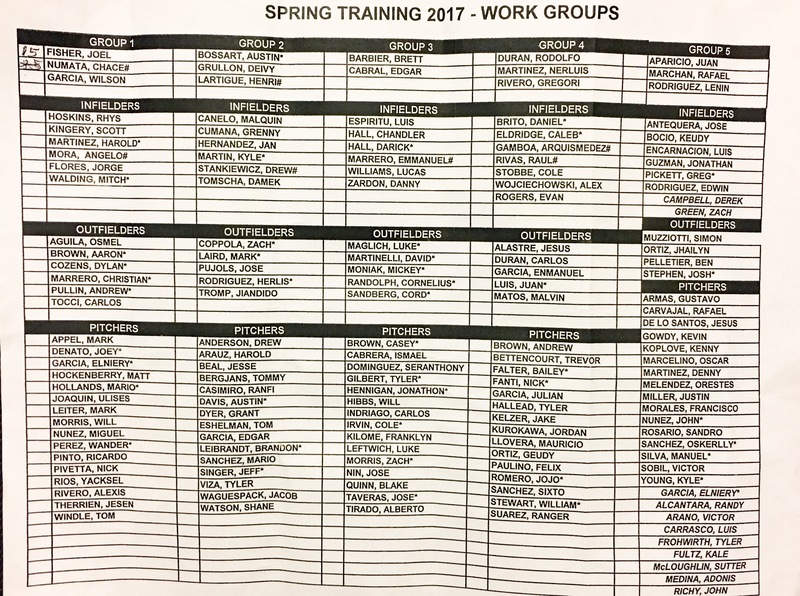 Yesterday, the new and updated Phillies minor league workgroup list was released. The most major change is that there are now players in the fifth column. This is a combination of players being sent down as well as some players that are on the DL now being included in the list. While there are rumors of five players being released, there has been no “official” confirmation so I have not mentioned those whom we suspect have been released. Please remember that until the final players are sent down from major league camp, the lists are rather fluid. It is also worth noting that the players in the fifth column that are indented are players that are currently rehabbing/on the DL.